Hundreds of Israeli officers and others connected to security branches were reportedly denied visas last year. The US has been limiting the issuing of visas to IDF officers, people who work for Mossad or the Israel Security Agency (ISA or Shin Bet), and Israelis connected to other security-related bodies that are connected with the Israeli presence in the biblical heartland of Judea and Samaria, writes Globes. According to pro-Israeli sources on Capitol Hill, the limitations are part of an effort to make sure that visas are not granted to people who violate human rights in Judea and Samaria. State Department Spokeswoman Jen Psaki said Friday that Israel will not be included in the list of countries whose citizens can enter the US without a visa, because of the way the Jewish state treats Palestinian Americans at its border crossings. “The Department of Homeland Security and State remain concerned with the unequal treatment that Palestinian Americans and other Americans of Middle Eastern origin experience at Israel’s border and checkpoints, and reciprocity is the most basic condition of the Visa Waiver Program,” Psaki said in her daily briefing with reporters. Maariv reported earlier this month that hundreds of Israelis with connections to the security establishment were denied visas into the US in the past year – or were given a single entry visa for three months, as opposed to the multiple entry visas for periods of up to 10 years that were usually given Israelis until now. The Leahy Amendment requires the US to withhold assistance from foreign military units or officials who are known to be involved in human rights violations. One of the principal obstacles to joining the visa waiver program has been Israel’s inability to consistently score below 3 percent on the visa refusals rate, a requirement for countries seeking to join the program, according to JTA. For years, Israel had hovered around the 6% mark; in 2012, its rate of refusal was near 5%. In 2013, it was up to almost 10%. U.S. officials say consular officials are simply following the law, which presumes that applicants for tourist visas are be potential violators of visa terms until they can prove otherwise. 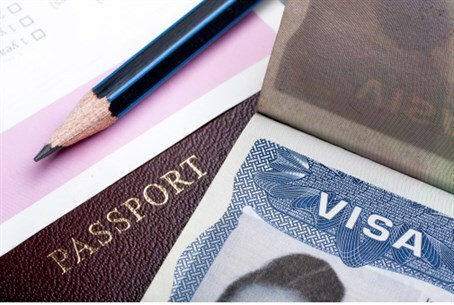 “When any individual makes a U.S. visa application anywhere in the world, a consular officer reviews the facts of the case and makes a determination of eligibility based on U.S. law,” a State Department official, told The Hill on March 12.